Phew! setting up a blog is no easy task for the likes of me but I’ve been putting this off for way to long. Typical me... i start a blog and the 1st thing I do? .... add gadgets lol. Anyway, thought I’d give an idea about what this bloggy is in my 1st post. It says a little bit in my profile I know but here's a little more detail. I've been the crafty kind for as long as i know. This is the 1st time I'm doing alot of things other then store my crafts. The 1st time I'm selling them online at Etsy, the 1st time i'm blogging too. How's it going so far? Hard to tell. Selling doesn't seam as easy as i thought though. 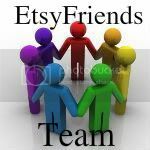 I made 1 sale on the 2nd day of my 1st listing at etsy and everyone was amazed. And then nothing till now. MyPaperEden is a shop that sells paper supplies and jewelry. Alot of people see my works and start to ask me a whole bunch of questions because they have never seen the stuff i make before or even knew that they existed. 1 of the reasons of this bloggy is to answer all these questions. In future posts you can expect to see my new creations as well as explanations about them and how i create them. Well, that enough for a start :) here are some of the beads, charms and jewelry I've made recently. I hope you like them.